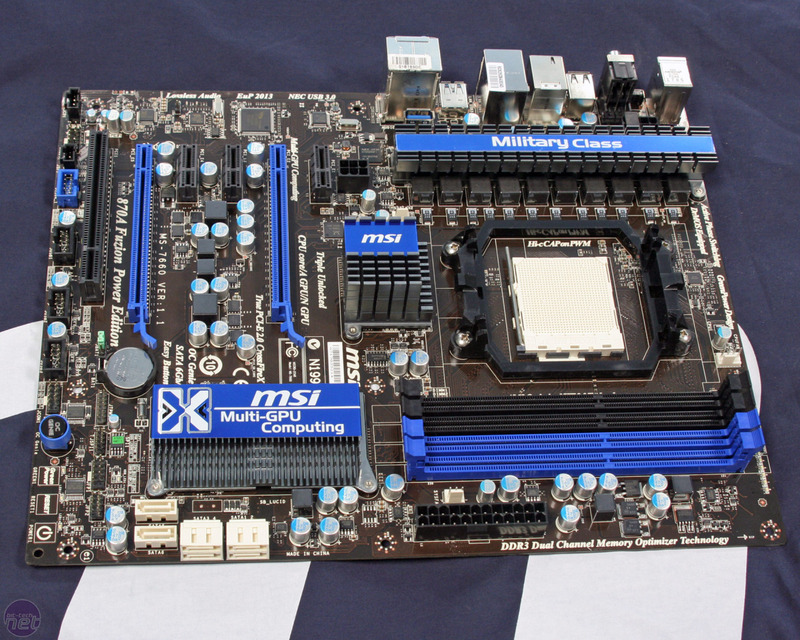 With the upcoming Power Edition (and PCB revision) update to MSI's 870A Fuzion motherboard, the company has rejigged the layout and boosted the power hardware on the board to aid performance and overclocking. 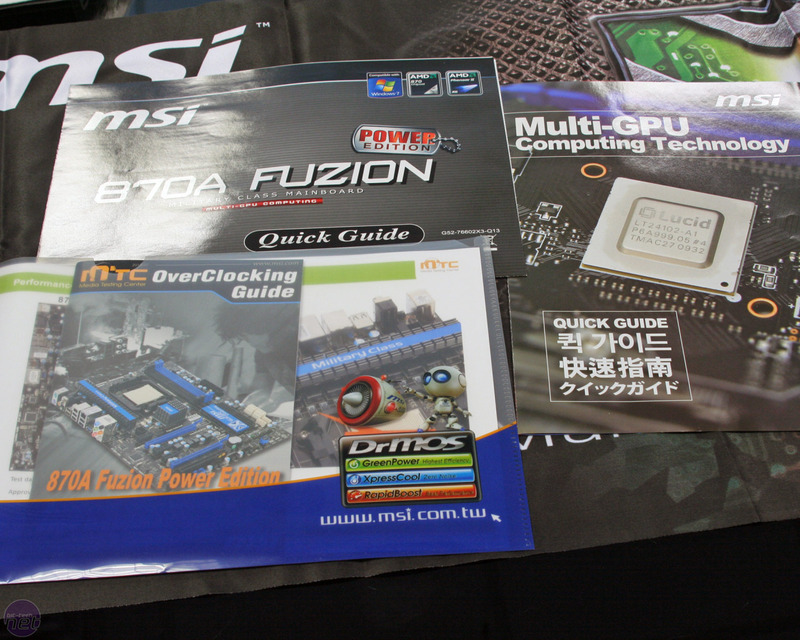 That's not all though - after coming back from MSI HQ we've also noticed something rather sneaky from the company: the original 870A Fuzion used AMD's 770 chipset, not the more recent 870 as the name suggests. 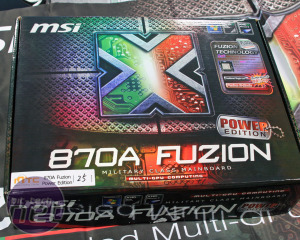 We checked with MSI assuming the website was wrong, but it admitted the vanilla Fuzion board was based on the older chip, whereas the newer 870A Fuzion Power Edition does use the more recent AMD 870 chipest. 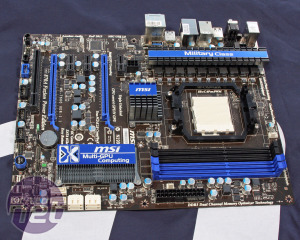 It's good to see MSI address what we feel was a very confusing situation, but it still feels unsatisfactory to us that the original board didn't use the chipset as its name implied. 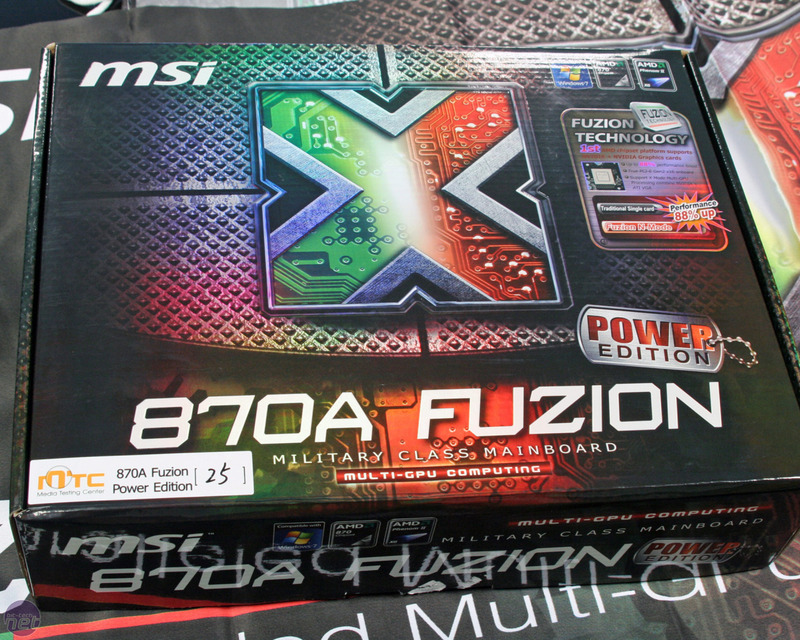 The new box looks very flashy and inside there's plenty of manuals, although the MTC guide is for reviewers only, sorry! 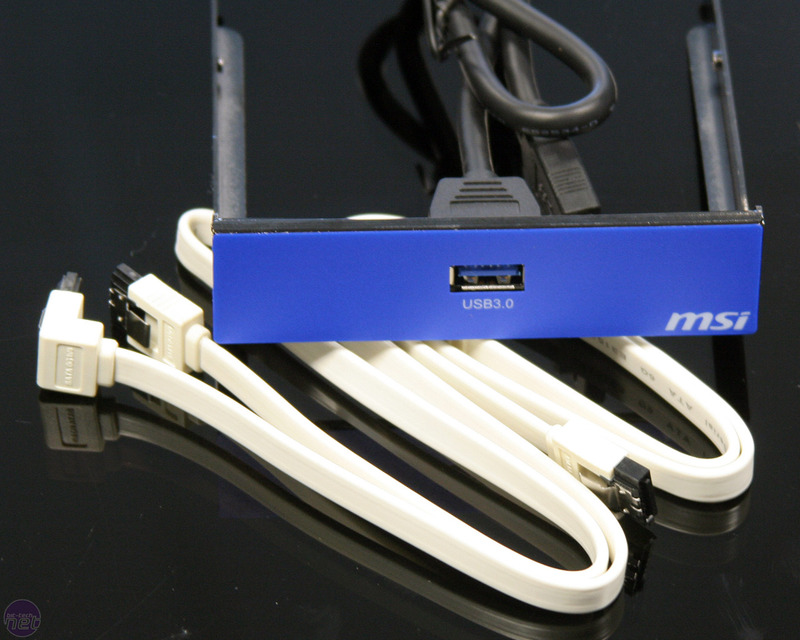 We're not sure why - it's got lots of useful overclocking info that would great for end users. 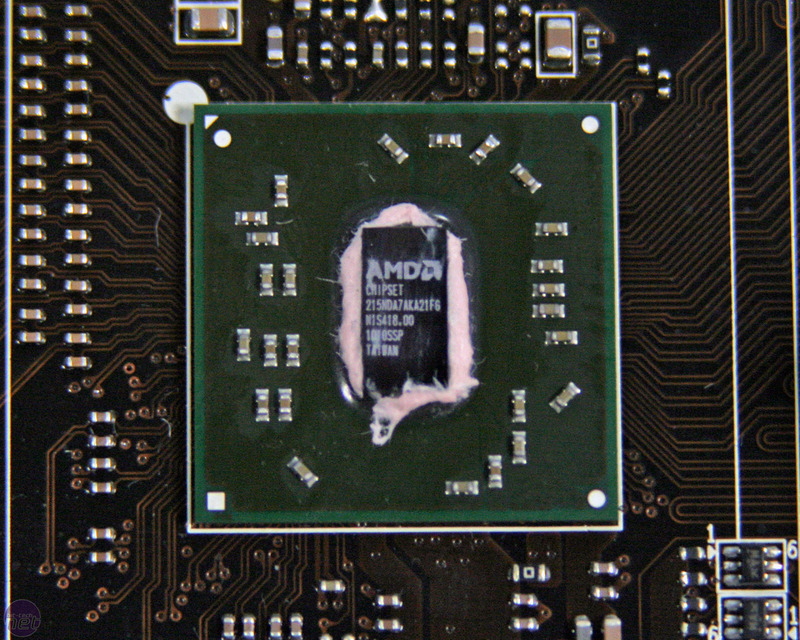 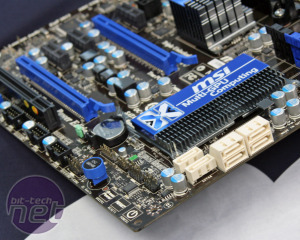 The AMD 870 Northbridge connects to the Lucid Hydra 200 chip with a single PCI-E 16x lane but MSI claims this is still enough bandwidth for dual graphics cards, as the Hydra 200 chip ensures the board has two full PCI-E 16x slots. 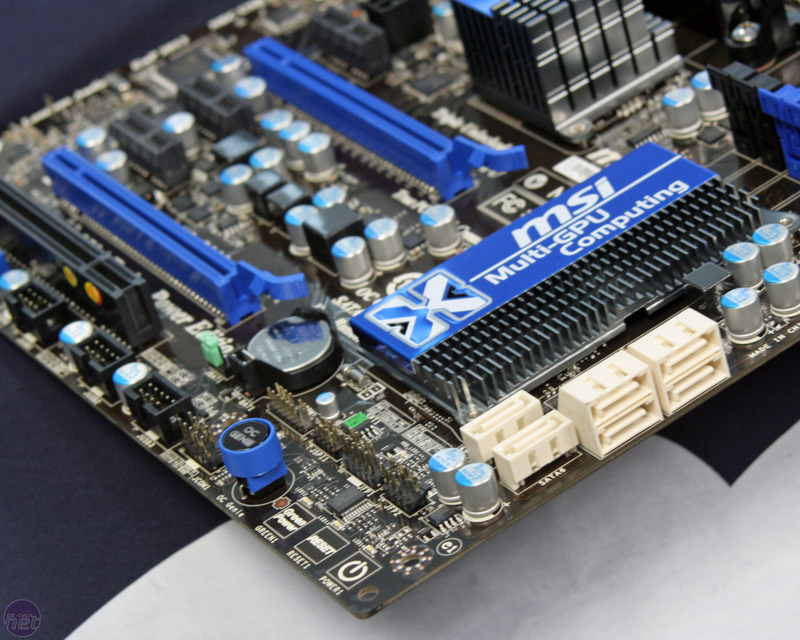 MSI claims the bandwidth bottleneck between the graphics cards and Northbridge is a non-issue. 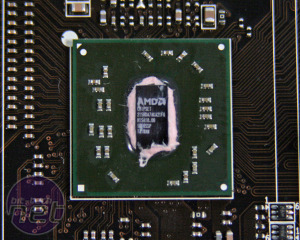 3DMark is to gain detection of Lucid's Virtu MVP technology following concerns of artificially inflated scores.